Chiropractic care in pregnancy is vital to the normal physiological function of both the mother and baby throughout pregnancy and birth. The development of the baby is dependent on the health of the mother, thus making proper spinal and nervous system function essential. Research shows that prenatal chiropractic care can allow the mother to be more comfortable throughout pregnancy and can reduce labor times by up to 30%. 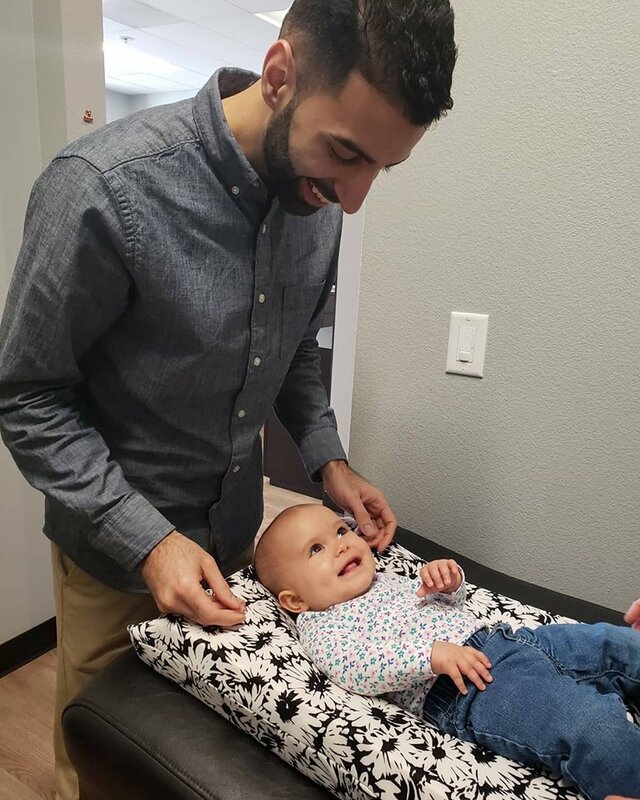 More women and birth providers are discovering the many benefits associated with chiropractic care in pregnancy and recognize this area of expertise through Websters Technique. When the sacroiliac joint, pelvis and spine are in proper alignment and have unrestricted motion, the developing baby has more room to grow within the womb. When proper alignment is maintained throughout the pregnancy it improves the ability of the expecting mother to have a safe and natural birth. Being certified in Websters Technique allows us to relieve pressure and stress on the sacrum, restore optimal position and reduce pain/discomfort. The birthing process is not only traumatic for the mother but for the baby as well. We encourage mother’s to bring in their babies to have them checked for irritation to the nervous system. Stress to the nervous system can lead to colic, breathing problems, bed-wetting, sleep disturbances, ADD/ADHD, allergic reactions and chronic infections. Since your baby won’t be able to communicate pain in the early stages it is critical to get them checked.